Sandra Jackson-Opoku is an accomplished novelist, journalist, and academic. Her published novels include The River Where Blood is Born, winner of American Library Association Black Caucus Award for Best Fiction and Hot Johnny (and the Women Whom Loved Him), an Essence Magazine bestseller in hardcover fiction. Her stories, poetry, articles, essays, and scripts are widely published and produced, with work appearing in Islands Magazine, Los Angeles Times, Ms. Magazine, The Literary Traveler, and elsewhere. Ms. Jackson-Opoku’s work has earned the SCBWI Kimberly Colen Award for New Children’s Writing, an American Antiquarian Society Fellowship for Creative Writers, a National Endowment for the Arts Fiction Fellowship, the CCLM/General Electric Fiction Award for Younger Writers, Illinois Arts Council Finalist Awards, and more. 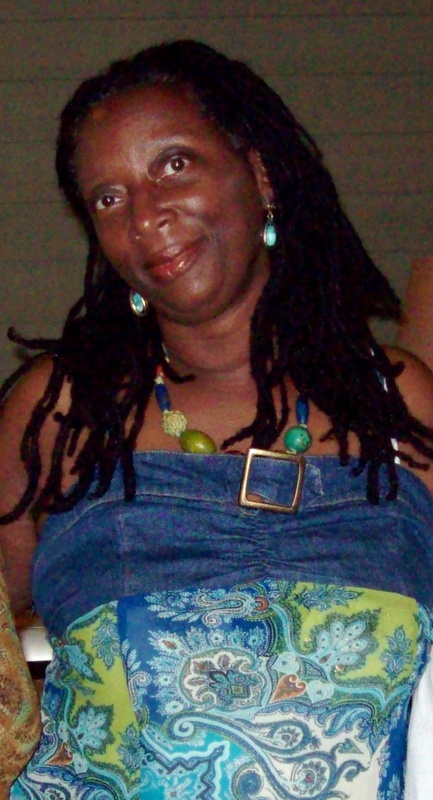 Jackson-Opoku teaches literature and creative writing at schools, universities, workshops, and institutions around the world, including Columbia College Chicago, the University of Miami, Nova Southeastern University, the Writer’s Studio at the University of Chicago, the North Country Institute for Writers of Color, and the Hurston-Wright Writers Workshop. She is full time faculty at Chicago State University where she teaches literature and writing courses in the Department of English, Foreign Languages and Literature. Outside White Pine Cottage retreat in New Buffalo, Michigan.